As a father of three and dedicated husband, Fernando Lopez has lived in the Northwest Suburbs of Illinois for over 20 years and has extensive knowledge of the Algonquin-Lake in the Hills, Crystal Lake, and Elgin areas. As a Mexican-American, Fernando was taught to put his family first, to have an incredibly strong work ethic, to have a thirst for knowledge, and to take pride in all that he does. 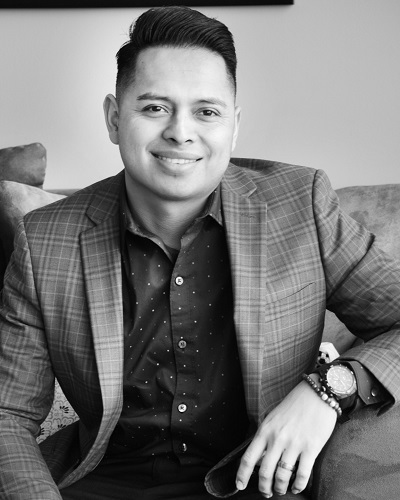 This drive for success translates perfectly to Real Estate, as Fernando understands that his ultimate goal is to help each family he works with buy their perfect home or sell their current one—and he can do so in both English and Spanish. - Fernando helped my parents with the sale of their home. He went through every single detail prior to signing a contract to ensure my parents understood the process. He kept in contact with us from beginning to end. He's very professional and attentive. I highly recommend him to anyone buying or selling real estate in the area.